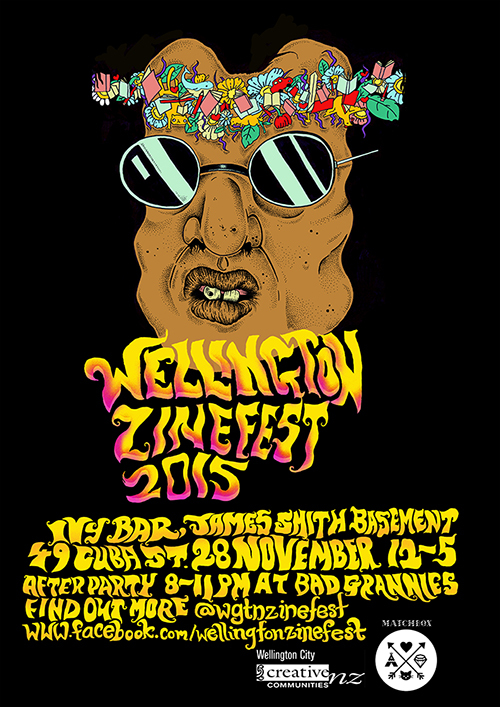 This year’s Wellington Zinefest is this coming Saturday, and we can’t wait! We get loads of our library zine collection from vendors at Zinefest, so you can be sure to see a whole lot of new zines on our shelves in the following weeks. The event is this Saturday, November 28th, from 12pm-5pm. This year it takes place at Ivy Bar, in the James Smith building basement, at the bottom end of Cuba Street. Don’t worry, it’s definitely an all-ages event! Watch out for the signs on the day, they’ll make sure you get to the right place. You can learn more about the libraries’ zine collection over on the Zines page, and if you have any zines you’d like to donate to the WCL collection we will gladly receive them! Just drop your zines off at the Central library, or your local branch so they can be sent to the central collection. If you’re a Wellington zine maker, we’d love to get 2 copies of your zine so that we can preserve one in our heritage collection. Make sure to include your name, the name of your zine, year of publication, and any other relevant information with your zines, so that we can make them easily find-able for library borrowers.